Main Street serpentines through Downtown Grand Junction with a series of gentle “S” turns. 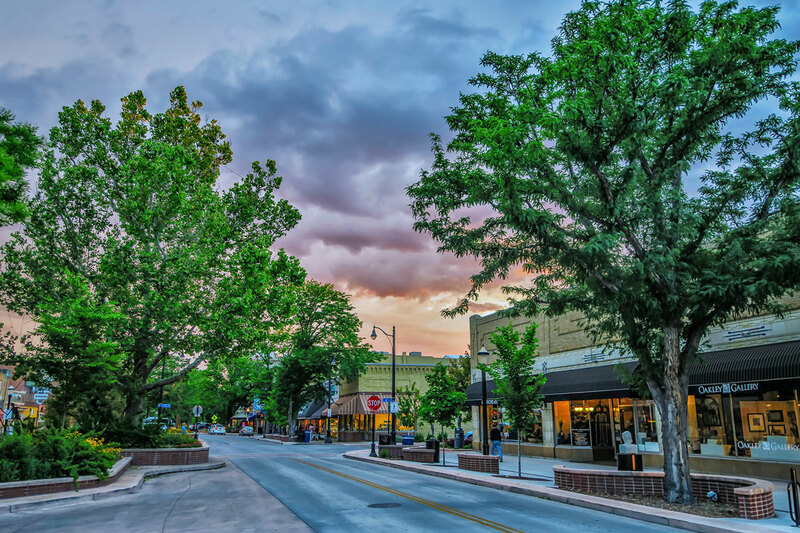 Intentionally designed to slow down vehicle traffic and create a pedestrian-friendly environment, Downtown Grand Junction bustles with innovative restaurants, trendy shops and boutiques and a thriving art scene. Downtown Grand Junction is a Certified Creative District, where you’ll find the Art on the Corner display, a collection of more than 100 sculptures. Established in 1984 by a local sculptor named Dave Davis, Art on the Corner has grown into one of the largest outdoor art displays in the country. Some of the pieces are on permanent display, while others are rotated out each fall during the Downtown Art Festival. Art galleries also abound throughout downtown, and many have working studios where you can see artists at work. For those who want to get their hands dirty, Uncanny Valley Art Gallery hosts monthly pottery and painting classes. Meanwhile, if you’re a history buff, Museum of the West is a hub for the area’s cultural history and periodically refreshes its exhibits, so there is always something new to explore. 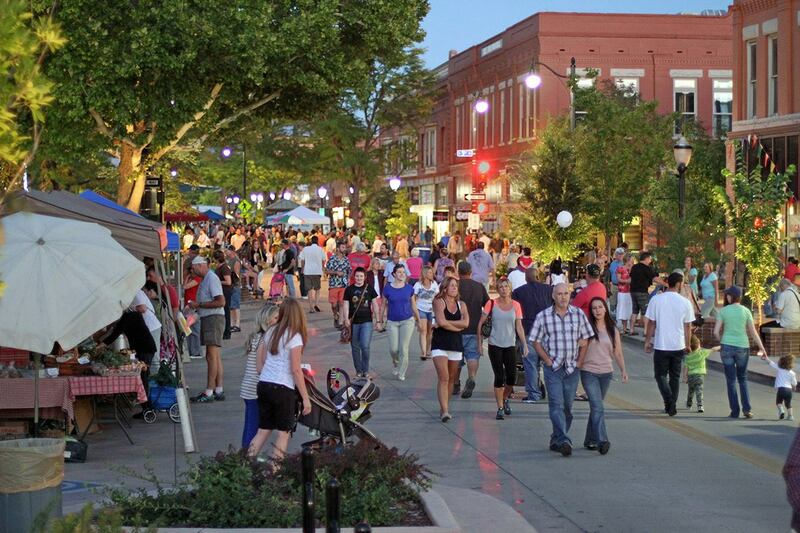 The Downtown Farmers’ Market takes over Main Street every Thursday, July through September. Every week, local farmers show off the fruits of their labor while crafters and artisans display their work. These colorful displays are well received as hundreds of people flock downtown to stock up on perfectly ripe produce, sample local bites and listen to live music. While peaches and grapes are obvious choices, Grand Junction farmers also grow apples, cherries, pears, plums and a wide variety of vegetables. In fact, 85 percent of the produce grown in Colorado comes from the Grand Valley. The Riverfront Trail near Downtown Grand Junction is a wide paved pathway that runs along the Colorado River for miles. You can even take it all the way to Loma, Colorado — a whopping 19 miles away. The trail features great scenery, as well as collection of murals, as it snakes along the river. It is perfect for walking, biking and e-biking. For bike rentals, check out Brown’s Cycles.